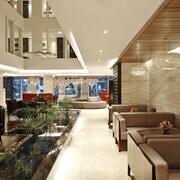 Where to find Dhaka hotels near an airport? How can I find hotels in different Dhaka neighborhoods? 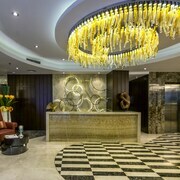 Where can I find hotels in Dhaka that are near tourist attractions? There are all sorts of lodgings to choose from for those who are looking for a cheap or luxurious place to stay in or around Dhaka. 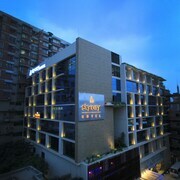 Our accommodation section lists 72 hotels within 0.1 kilometres (0.06 miles) of Dhaka's heart. Dhaka offers visitors a range of centrally located places to stay, such as the Rose wood Residence and Holiday Villa Gram. If you are arranging a trip to Dhaka to spend some time at the Ahsan Manzil, the Baitul Mukarram and the Curzon Hall, why don't you stay close by? Places to stay that are close to the Ahsan Manzil include the Hotel Ornate and the Hotel 71. While the Hotel Ornate is 3 kilometres (2 miles) from the Ahsan Manzil, the Hotel 71 is 3 kilometres (2 miles) away. The Pan Pacific Sonargaon Dhaka is situated 3 kilometres (2 miles) away from from the Baitul Mukarram. The Best Western La Vinci Hotel is also situated within an easy walking distance. Finally, if you prefer to stay close to the Curzon Hall, the Hotel Victory and the Hotel Bengal Canary Park are good accommodation options. The Hotel Victory is 2 kilometres (1 mile) away and 2 kilometres (1 mile) is Hotel Bengal Canary Park away. 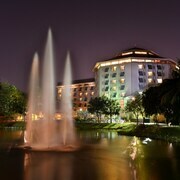 The Radisson Blu Dhaka Water Garden is 4 kilometres (2 miles) from the heart of Dhaka. Alternatively, the Dhaka Regency Hotel & Resort is situated 6 kilometres (3 miles) away. 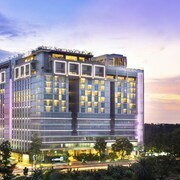 The Lakeshore Banani and also the Hotel Swiss Garden are two more Expedia-listed Expedia-listed accommodations around Dhaka. The nearest places to spend the night in Bangladesh include Gulshan and Banani. Gulshan is 2 kilometres (1 mile) to the north of Dhaka, while Banani is 2 kilometres (1 mile) to the north. 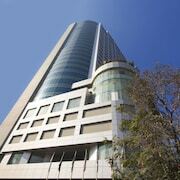 Accommodations in Gulshan include the Eastern House and Royal Park Residence Hotel. 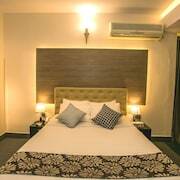 While Banani apartments are the Galesia Hotel & Resort Ltd and Hotel Rose Garden. Consider spending a few hours rubbing shoulders and cheering along with Bangladesh sports obsessives at a local sporting fixture. Sher-e-Bangla Cricket Stadium is 5 kilometres (3 miles) to the northwest of Dhaka. Book a hotel near the action at the Platinum Grand or the Hotel Sweet Dream. Zia International Airport is a convenient airport for accessing Dhaka. It is 8 kilometres (5 miles) drive away. If you would like to stay nearby, try the La Villa or Hotel Milina. 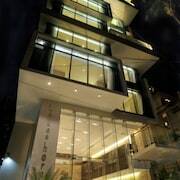 What are the most popular Dhaka hotels? 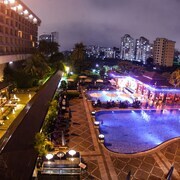 Are there hotels in other cities near Dhaka? What other types of accommodations are available in Dhaka? Explore Dhaka with Expedia.ca’s Travel Guides to find the best flights, cars, holiday packages and more!